The native form of this personal name is Bodnár László. This article uses Western name order when mentioning individuals. László Bodnár (Hungarian pronunciation: [ˈlaːsloː ˈbodnaːr] ; born 25 February 1979 in Mátészalka) is a former Hungarian football defender. He played for the Hungary national football team. On 28 August 2009, he was involved in a fatal road accident: while driving on a minor road he killed a cyclist. He was found guilty for speeding and so causing the accident and was given a one-year prison sentence, which at the moment is suspended for a one-year probation. Mátészalka is a town in Szabolcs-Szatmár-Bereg county, in the Northern Great Plain region of eastern Hungary. The Ukrainian Premier League or UPL is the highest division of Ukrainian annual football championship. As the Vyshcha Liha it was formed in 1991 as part of the 1992 Ukrainian football championship upon discontinuation of the 1991 Soviet football championship and included the Ukraine-based clubs that competed previously in the Soviet competitions. 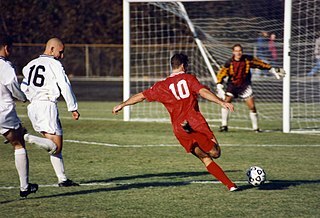 In 1996 along with the other professional football leagues of Ukraine, the Top League became a member of the Professional Football League of Ukraine. The Ukrainian Cup is an association football national knockout cup competition run by the Football Federation of Ukraine. The competition is conducted almost exclusively among professional clubs. Since the 2003–04 season, the Cup winner qualifies to play the Ukrainian Premier League winner for the Ukrainian Super Cup. 1 11 October 2000 Kaunas Lithuania 6–1 FIFA World Cup 2002 Qual. 3 6 October 2001 Parma Italy 0–1 FIFA World Cup 2002 Qual. 11 2 April 2003 Budapest Sweden 1–2 UEFA Euro 2004 Qual. 19 4 September 2004 Zagreb Croatia 0–3 FIFA World Cup 2006 Qual. 20 8 September 2004 Budapest Iceland 3–2 FIFA World Cup 2006 Qual. 21 9 October 2004 Stockholm Sweden 0–3 FIFA World Cup 2006 Qual. 23 30 March 2005 Budapest Bulgaria 1–1 FIFA World Cup 2006 Qual. 25 4 June 2005 Reykjavík Iceland 3–2 FIFA World Cup 2006 Qual. 27 3 September 2005 Budapest Malta 4–0 FIFA World Cup 2006 Qual. 28 7 September 2005 Budapest Sweden 0–1 FIFA World Cup 2006 Qual. 29 8 October 2005 Sofia Bulgaria 0–2 FIFA World Cup 2006 Qual. 30 12 October 2005 Budapest Croatia 0–0 FIFA World Cup 2006 Qual. 35 6 September 2008 Budapest Denmark 0–0 FIFA World Cup 2010 Qual. 36 11 October 2008 Budapest Albania 2–0 FIFA World Cup 2010 Qual. 37 15 October 2008 Ta' Qali Malta 1–0 FIFA World Cup 2010 Qual. 39 1 April 2009 Budapest Malta 3–0 FIFA World Cup 2010 Qual. 40 9 September 2009 Budapest Portugal 0–1 FIFA World Cup 2010 Qual. 41 10 October 2009 Lisbon Portugal 0–3 FIFA World Cup 2010 Qual. 42 14 October 2009 Copenhagen Denmark 1–0 FIFA World Cup 2010 Qual. Wikimedia Commons has media related to László Bodnár . Zalaegerszegi Torna Egylet or just ZTE is a football club from the city of Zalaegerszeg in Hungary. They are best known for beating Manchester United F.C. 1–0 in the 2002–03 UEFA Champions League qualifying stage. Zalaegerszeg has won one Hungarian League title. Roland Juhász is a Hungarian footballer who plays as a defender for MOL Vidi FC. Hjalte Bo Nørregaard is a former Danish football midfielder. Hjalte is son of former Danish footballer Klaus Nørregaard. Marat Rifkatovich Bikmaev is an Uzbek football striker of Volga Tatar origin who plays for Lokomotiv Tashkent FK in the Uzbek League. Ioan Ovidiu Sabău is a former Romanian football midfielder, who was born in Câmpia Turzii and debuted in Divizia A with U Cluj in 1986. Imre Szabics is a Hungarian football manager and former professional footballer. David Obua is a Ugandan football coach and former player. He is the assistant coach of Maroons FC in the Ugandan Premier League. During his playing career, Obua played for Police FC, Raleigh Capital Express, Wilmington Hammerheads, Kaizer Chiefs and Heart of Midlothian in the Scottish Premier League. At international level, he represented Uganda national team and has a record of being the country's all-time goal scorer record in the Africa Nations Cup and World Cup qualifiers. Szabolcs Huszti is a Hungarian footballer. He is well known for his dribbling, pace, passing and goal scoring ability from midfield. Tibor Dombi is a Hungarian footballer who plays as a right midfielder for Debreceni VSC. Lajos Détári is a football manager and a retired Hungarian football midfielder. At the height of his career (1984–94), he was a well-respected player throughout Europe, winning "Player of the Year" titles in Hungary, Greece and Switzerland. Csepel SC is a Hungarian sports club based in Csepel, the XXI district of Budapest, which is on an island in the Danube in the south of the city. The club was formed in 1912 as Csepeli Torna Klub. Péter Czvitkovics is a Hungarian footballer who plays for Budaörs as a right winger. Balázs Farkas is a Hungarian professional footballer currently plays for MTK Budapest FC. János Balogh is a Hungarian football goalkeeper who is currently playing for Csenger FC. Csaba László is a Hungarian football manager and former player. László Disztl is a Hungarian retired footballer who played mainly as a right back. László Nagy is a Hungarian handball player for Telekom Veszprém and the Hungarian national team. MOL Vidi Football Club, commonly known simply as Vidi, is a Hungarian professional football club based in Székesfehérvár, in the west of Hungary, playing in the first division Hungarian League. Due to sponsorship reasons, the club changed its name from Videoton FC to MOL Vidi FC in 2018. The main sponsor of the club is the Hungarian oil and gas multinational company, MOL.